In particular, during this interview, Harari revealed that he’s a serious practitioner of Vipassana mediation who spends 2 hours every day meditating, and goes on a 1 or 2 month meditation retreat every year. Harari’s not exaggerating about the latter: he didn’t learn that Donald Trump was elected President until January 20th, when he arrived home from an off-the-grid session that began in early November. What’s interesting to me about this story is not the power of meditation (though Harari makes an interesting point in the interview about his practice helping him identify problems that matter), but instead what it tells us about the reality of producing valuable things. In his recent book, Rest: Why You Get More Done When You Work Less, Alex Soojung-Kim Pang argues from historical examples and scientific findings that a four hour “creative work day” is about optimal for producing important new things. Beyond that, a busy workday consists primarily of busywork. In other words, Yuval Harari can sacrifice a non-trivial fraction of his working hours without blunting his impact because the hours he’s sacrificing are not the relatively small number dedicated to cultivating his next big idea. I don’t have concrete advice to offer as an implication of this observation, but it’s something that has come up often in my research and writing in recent years, leading me to believe it’s worth re-emphasing. We’re currently busier than ever before, but this doesn’t mean we’re more effective. As Yuval Harari teaches us: there’s a difference. This is yet another great observation. Though from a practical standpoint, all of us may not be able to take time off for month long retreats, it nevertheless emphasises the importance of a calm mind, free from all distractions, to produce the very best you can. As you said in Deep Work, those of us who are able to cultivate the skill of focus (attributed by both Bill Gates and Warren Buffett as the no.1 success factor) in a deeply distracted world, will command maximum value in the marketplace. Right, but my real point here is not that you should go meditate for two months, but instead that this guy is really successful even though he takes two months off from work each year: underscoring the difference between the stuff that keeps us busy in our professional life and the stuff that makes an impact. Excellent article Cal. Thank you for showing, yet again, it is not about how much you work, but the quality of the time you spend working. I think, just as important, and all to often ignored, is the quality of your “non-work” time. When you can fully discontent from your work, you recharge the batteries so to speak. Having a “deep break” so to speak, prepares you for richer, more insightful “deep work” session. Looking forward to picking up a copy of Deep Work next week. I don’t think Cal is suggesting you go on a two month retreat. He’s simply demonstrating/telling us about how people craft their lives and time. I’m also going for a Vipassana meditation retreat next month for 10 days.I have been reading many books on meditation,mindfulness and neuroscience for the last few years and being a meditation practitioner I have learnt through the years that the ability to focus and to be aware of your breath has many beneficial aspects on your body and mind.Moreover, I have stopped using social media and reading news on the internet. Before I log on to the internet, I write down notes in shorthand on where I’m going to spend my ‘internet time’ (that way I don’t fall for internet clickbaits,google search or news) and I am always mindful of the time. I’m planning to embark on an academic career in Norway and I will continue this practice for the rest of my life. Great job. Very recently I found out that 4 hours of deep focused work and 2-3 hours of superficial work (which doesnt require alot of focus) to be optimum. I feel alot less burnt out and alot less guilty by exceedingly high expectations. These vignettes you post on time use by highly effective individuals are powerful, Cal — they read like advertisements for a 19th-century pacing of one’s day. The disciplined pursuit of less, as Gregg McKeown terms it in Essentialism, is the antidote for these overly hive-connected days. My experience as a long-time meditator is that time opens up for you when you slow down. The more deliberate I become the more my days feel spacious and rhythmic. I have always felt (based on intuition/personal experience) that 4 hours was a max productivity day. In addition to this reference and the ones in Deep Work, I recall hearing a med school professor recommend students never study anatomy more than 4 hours per day. And THANK YOU for Deep Work Cal-very insightful and gave me great perspective on work fulfillment. Thanks also for being a voice of integrity and substance against the “Courage movement”. And he has no kids. Again, the point is not that you should go meditate for two months, but that this guy is successful even though he takes significant time off from work — emphasizing that always on busyness is not the same as creating impact. I have three very active boys, (12, 9 and 4). I get more meaningful work done now than I ever did before having children. a. Not owning a TV since September 12, 2001.
b. Various techniques that limit/eliminate internet/social media use. 3. Reading one book/week every week for last 25 years (I’m 43 now – so that’s 1285 books). 4. Never work past schedule. M-W, 9-1845, Tu 8-1715, Th 9-15, F 9-13. Oh and I take a minimum of 6 weeks of vacation every year. I’m only halfway through Deep Work, so please excuse me if it’s answered there – What’s the maximum amount of deep work hours per day you think is possible? I get that after 3-4 hours straight, one has to take a break. But are “two shifts” of 3-4 hours each sustainable? Going by what I’ve been trying after finishing Deep Work, I’d say it’s possible to break those 3-4 hours up and spread them throughout the day. Two whole shifts of it might be feasible, but it also sounds like a way to push yourself to exhaustion and beyond. You could attempt a trial run with it and see how it goes, though. Just make sure not to strain yourself too much: mental exhaustion is never fun. It might clarify things if you find my semi-recent post on “deep breaks.” In reality, a 4 – 5 hour deep work session is not necessarily unbroken concentration for that duration (very hard), but instead a series of highly intense sessions (e.g., like pomodoros), broken up by breaks that do not completely change your context (e.g., going for a walk instead of checking email). Its always about quality versus quantity in the end. Quality time should always rule our clocks and wrist watches…not quantity of time. An hour well spent…is worth three not well spent. Quality time should always rule our clocks and wrist watches…an hour well spent…is worth more than three NOT well spent. I think it differs for everyone. When I get in the zone I find its around 90 minutes before I come out of it. Then I’ll take a short break and get back to it. Maybe it should be. Meditation directly shows you what you keep alluding to, quality over quantity, present one-pointed awareness in everything one does. Maybe it’s time to look into the source of the matter and from where these principles arose (Socrates, Confucius, Lao Tzu, Buddha) and how they all basically state the same things in different ways. –Very instructive and insightful. It’s leads me to believe that extended hours of busy work is often just an addiction. In my opinion it may also be an unconscious strategy to avoid a more meaningful life. I think the main point is keeping a balance between deep work and deep rest/breaks (as you called it in a previous post). Working 4hrs a day (sitting down and actually writing/coding) might work if you don’t fill the other hours with busy work and meetings, but do stuff like long walks, some hand craft and probably also meditation. The point is to let your subconscious pounder further on your deep work in the meanwhile. It’s surprising how much your ideas have improved after a walk. It also reminds me on the distinction (and keeping the balance) between focused and diffused mode (used in learning theory). I’m a believer. Although this runs counter to our current work culture. Thanks for the book recommendation. Great thoughts here. I find that the 4-hour window can indeed lengthen however when the right combination of sleep, diet, meditation, motivation, and supplements/nootropics are introduced. It is a amazing what the brain can do when one sleeps well and avoids sugar/processed foods. Vipassana meditation – This thing really works. As for the Sapiens book, it has been on my to-read list in Goodreads for a long time, now it gets the top priority. Thanks Cal for again sharing something that makes you go deeper and stay deeper. What is the conclusion regarding the various work spaces (Facebook’s new space designed by Gehry, Bloomberg’s work arrangement while mayor, etc.) seemingly contradicting the Deep Work idea? I have never understood these designs but always assumed someone was making some type of evidence-based analysis before spending X millions of dollars on one. It seems like Cal was saying “they may (kind of/sort of) work sometimes/for some people” but they are not ideal for those seeking Deep Work. Or is it more rational to say these companies are simply making a mistake? Presumably, FB engineers would benefit from a Deep Work environment. Honestly, I think they are simply making a mistake. And there is some evidence mounting that they are starting to realize this fact. I’d love the luxury of 2 hours of meditation. I’d love to explore one topic or master a skill for an extended period of time. But our culture doesn’t seem to allow for that. Is it an American obsession to cram as much as possible into one day? Why do American high schools have 7 periods? Why do college students have to take 4 or more classes in a semester? How can we gain mastery in anything if our attention is constantly being split into so many different directions? Some high schools are shifting toward deep(er) work. My daughter’s new high school has only four long (nearly 2-hour) periods per day with 15- or 20-min breaks between each one. They alternate schedules each day, so students still take 6-7 courses overall. They are the top-ranked public school in the state, so it must be working. This is also very similar to how her school arranged its schedule when we lived in the UK one year, and at the time I noticed how much better my kids were learning than in their old school back home. Interesting for those creative types that can afford it. Unfortunately not super-relevant to the majority of us working 8 – 12 hour a day jobs…except the meditation part of course. I get this. Most of us still have to work day jobs. But, that still leaves us 4-8 hours of free time per day outside of the day job. It’s simply a matter of making time for what’s important. Wow, that guy’s legit. Thanks so much, Cal, this is clutch. Great insights and book recommendations – I always look forward to reading your posts. I’m still applying, tweaking, studying, etc. 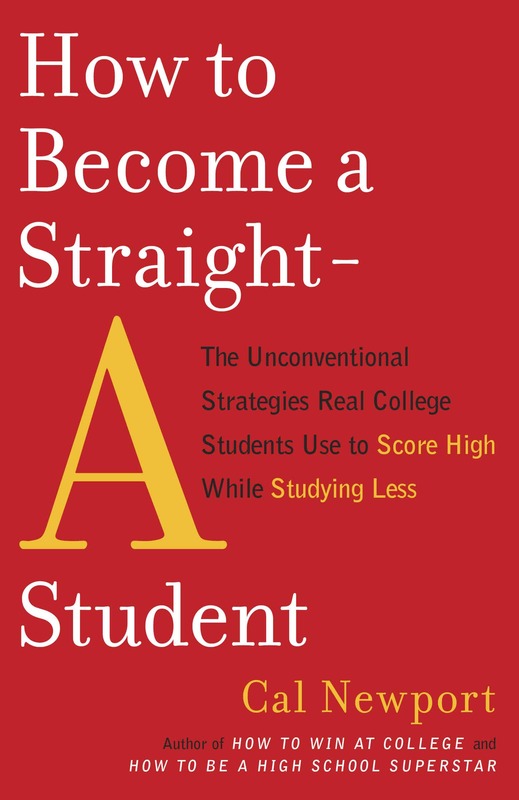 the principles to this day that I first learned 4 years ago from “Straight-A Student” and “So Good” and they are paying off for sure. Dear God, someone please send this to my bosses and clients. And don’t go to law school. As someone who has been meditating regularly over half a year now, I can tell you that the benefits were not about just stress reduction, or other stuff that is commonly touted as the biggest benefit of meditation. The biggest benefit was the insights I got from meditating. Insights about life, job, business everything. The practice allows you to step back from the noise and still the mind so that deeper insights can emerge. I was so busy being productive that I never had time to sit back and reflect/think (without a set agenda). WIth meditation, I dropped a lot of busy work and I work way way way less than other folks without sacrificing my quality. What planet does he live on? Does he have kids? Sick parents? A mortgage? Taxes? Tuition? Student loans? Full health insurance, and good health? Does he have a partner to whom he can say, “hey, I am off to meditate for two months, see ya later?” Does he have to work for a living? Does he need income? What kind of job does this guy have that he has such luxury of time? Does he have clients who are demanding immediate attention to their problems, some real and some imagined? How about a boss or any kind of management – are they fine with his taking 2 months off when he wants to? I have worked for nearly 40 years and have never had more than 3 weeks off total in a year. That’s not a complaint or lament, it’s what it is. I had something this man does not seem to have – responsibilities. This is almost laughable, but it reflects a self-centered, selfish, me-first and me-only attitude that is disturbing. He is a scholar and an author of best sellers, so he has much more control over his time than the majority of us. I had the same thoughts as you as I read the piece, but I think there is wisdom in it, if you can make it happen. I will begin to apply as much of it as I can in my own life. don’t waste your time how ever you measure it only the now really exists every else is illusion including most of our memories of time past .. but then the YNH story books are just another concatenation of an abysmal bunch of diverse pseudo scientific theories posing as a ‘new’ religion for an ever desperate humanity. Try reading “God’s Undertaker” by JC Lennox at least it offers some depth to creation! 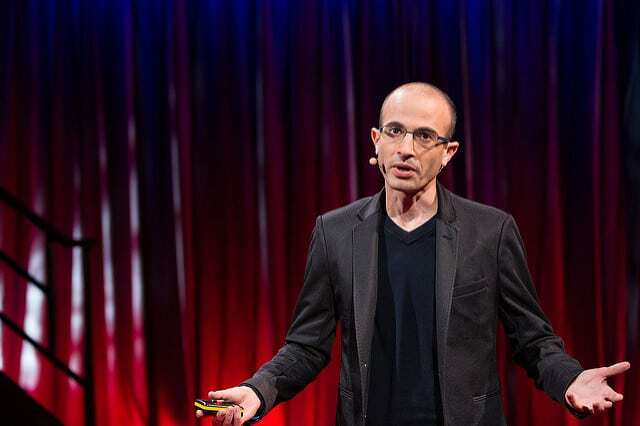 Professor Harari’s one of those extremely rare and fortunate academics who’s managed to achieve a significant amount of success in his career, which is why he’s able to take long excursions away from life and so on. It’s not that he doesn’t have responsibilities (he’s still a professor at Hebrew University, which means he has classes to teach and research to publish), it’s just that his priorities might differ from yours and/or mine. 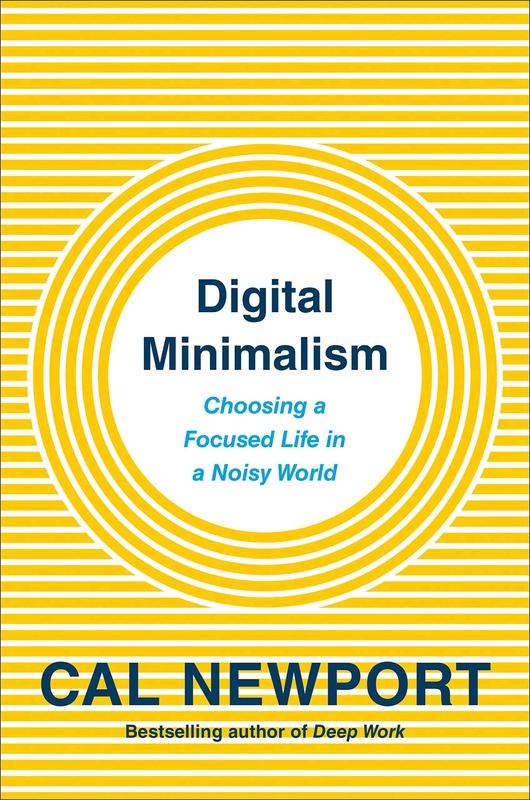 Harari’s an extreme example perhaps (not many of us are going to write as influential a book as ‘Sapiens’), but I suspect Cal’s using him to illustrate the value that can be gained from shorter bursts of focused work rather than protracted shallow work. I think an important consideration that was left out is the fact that a significant portion of Mr. Harari’s value-added work is likely creative in nature. For those with more operations-oriented work, the value of their work is relative to the number of smaller tasks they are able to complete in a given day. For example, if I am an author, I may need to tend to details involved in publishing, law, marketing, accounting, and the like, but the biggest bang for my buck lies in my ability to write more, better. If, however, I am an operations manager for a furniture manufacturing company, there is no large, overriding task that I can single out and confidently devote the majority of my time to; rather, I have an endless list of small tasks that all need to be finished and the only limiting factor is the amount of time I spend tearing through them. Anyway, just wanted to add another interesting consideration to the mix. Great article, thanks for sharing! I agree with Abrams. The only construction managers or consulting engineers or design engineers (my fields) who can focus on “deep work” or meditate this much have long been unemployed!! Unfortunately most people have to deal with invoices, schedules, personnel and other shallow work along with the deep work! Factor in working spouses, children, aging parents, fughetaboutit!!! Target the industry, CEOs, policy makers, etc. if this is the message. The rest of us have to focus on work, be it deep or shallow. Totally pointless article. It’s great that a fellow who doesn’t have any direct reports and works for a school can get away with 2 hours of work/day and then disappear for 2 months. Completely irrelevant for anyone working in the business world. With respect to better quality of work because of time and focus, I’ve found meditation to be unnecessary. I’m sure if the person featured in the article said he prayed to Jesus for 2 hours daily, folks here would be less likely to chime in on its benefits. The point of this piece is about making time for what works for each person regarding focus, in order to maximize results in a given task. Perhaps the relaxation of meditation gave this guy the space to focus and have the energy to write his book. In a way I think of it as a muscle memory creation via habit of how time is spent. A warm bath may do it for one person, a walk may do it for another, and yes, even prayer may be of value. The main point of meditation is not relaxation, it is focusing the mind. And it is very effective at that. I gained control over my life when I left my stressful, dehumanizing corporate job and became full time investor working form home. I work at my own pace and have structured a day to my liking. Only after coming out of corporate hell that I can really focus on my work and do deep work that produces results. It has also allowed me to learn new subjects like Data science which are hard skills. Many are touting here about meditation benefit. I have been doing daily meditation for about 12 years now and still do. The efficacy of meditation was less when I was working in stressful environment. I am convinced now that your environment and circumstances matter to get full benefits of meditation. You can’t be in corporate concentration camp and claim 15 min of meditation can miraculously save you. Let us be realistic here folks. You need to completely restructure and redesign your life to avoid that stress and get the best out of your life. actually it is partially correct he worked more then all of us at start to achive this stage. 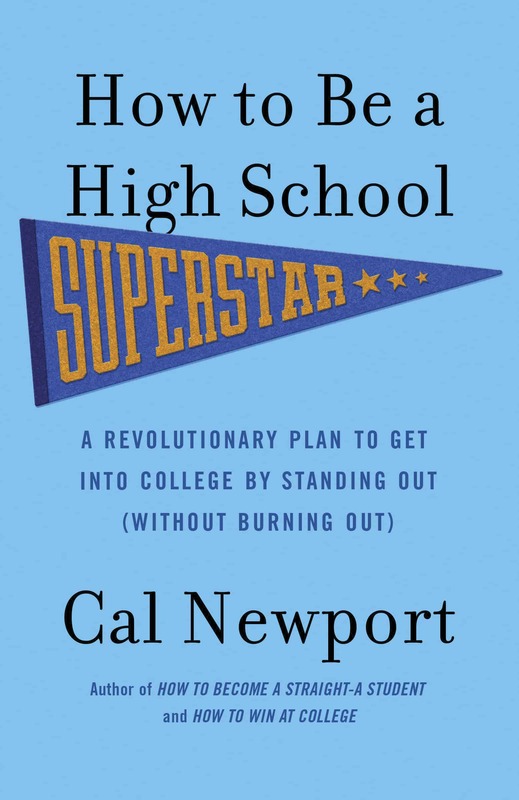 Cal – this is another great post on having a quality life and producing valuable work in abundance. I like the story/example of Yuval Harari. At the end you noted the difference between busyness and effectiveness. It reminded me of Peter Drucker’s classic book on leadership: The Effective Executive (not the “busy executive”). 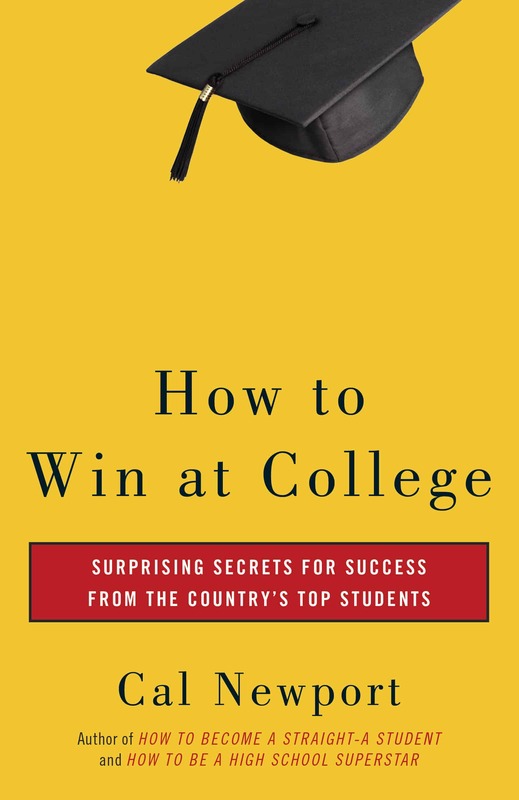 He drives home the difference between busyness and effectiveness throughout the book. Peaceful, calm, healthy,happiness are generousity of god given to his servant. Meditation is like a praying. We can find peace in praying orderly like in Islam, we pray 5 time a day and each times took about 10 minutes.If we follow this, the whole day and the whole life we will be at peace. Plus, we are rewarded to enter a paradise if god will. So, we get peace in the world and here after. After reading Harari’s book Sapiens: A Brief History of Humankind, I must say that I loved this book. I am not sure that I can capture the impression this book made on me in a review and I am not really going to try. I really think that this book is a must read for all people , and specifically people who want to understand humans and human society. Good point Cal . I have personally observed my Dad who is a Mechanical Engineer come up with complex designs and drawings accompanied by tremendous amount of calculations in his dedicated deep working hours that morning 5 A.M to 7 A.m . Also when he does this there no tolerance for disturbance .